Thomas C. Dixon, III passed away unexpectantly on March 17, 2019 at the age of 67. Born in Guilford County, NC to Thomas C. Dixon, Jr. and Hilda Amanda Dixon on March 23, 1951, and a resident of Greensboro, Pittsboro and Raleigh, Tom was known best as a husband, father, grandfather, brother, and friend. His love for life and those around him was evident. A proud 1969 graduate of Grimsley High School, he talked often of fond memories from his childhood, where he helped his father build a mountain home in Morganton and a beach home in Oak Island. After graduating from East Carolina University with a degree in Accounting, he met and married the love of his life, Janet, on July 23, 1977. Together, they raised two beautiful children, Tom and Megan, who would undoubtedly be Tom’s forever pride and joy. A member of Pittsboro Baptist Church, his love of family was second only to his love for God. 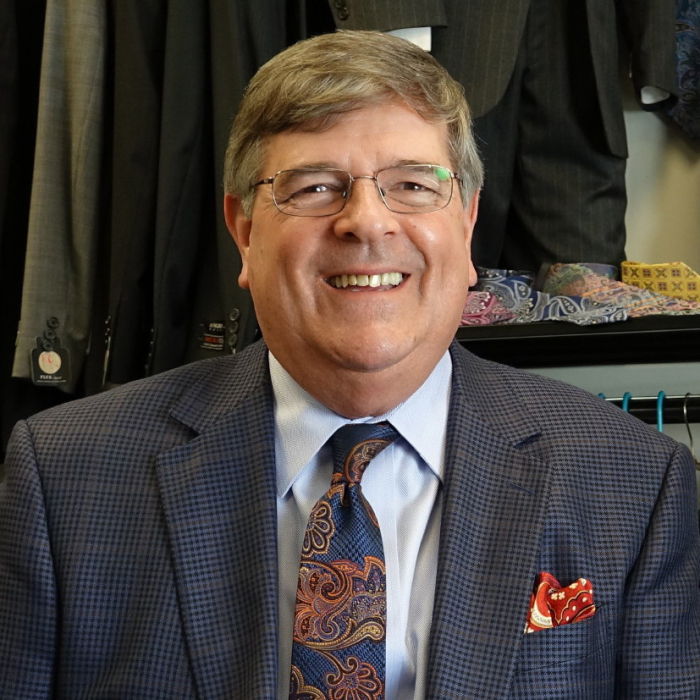 While he was at ECU, he met Glenn Warren, who would later invite him into an incredible forever partnership in the clothing industry as a business partner for Diamond Menswear in 1983 and TomGlenn Clothing in 2010. He passed his passion for the clothing industry on to his son and in 2002, they co-founded the Executive’s Cutting Edge, where he treasured working with both Tom and Megan. Tom thrived in family business because business was exactly that to him: family. There wasn’t a contact, customer, or partner that he didn’t consider special. Diamond Menswear, TomGlenn Clothing, and Executive’s Cutting Edge customers didn’t buy a suit, they received a friend. In his downtime, you could find him cooking for his family, fishing at the beach, watching a hockey game, enjoying time with good friends, or spoiling his grandchildren. His culinary skills were worthy of celebrity status and he gladly spent hours serving his family and friends with this gift. A proud NRA-supporter, he combined his appreciation for guns with his gratitude for Camp Oak Hill’s involvement in his children and grandchildren’s lives. Tom raised over $45,000 for the camp by managing an annual clay-shooting fundraiser, Clays for Kids. He spent his last day doing exactly what he loved, shooting clays with family and friends for Camp Oak Hill. A devoted hockey fan, he loved pacing the boards of a hockey rink while cheering on his grandson, Thomas, when he wasn’t doting on Bekah and Daniel. His three grandchildren brought Tom great joy and he was at his happiest when his family and friends were gathered and enjoying life, together. Tom taught us how to serve well, lead well, and love well. We are richly blessed to have called him ours. Tom is pre-deceased by his mother and father, and two sisters, Barbara Dixon McKee and Hilda Diane Dixon Spencer.